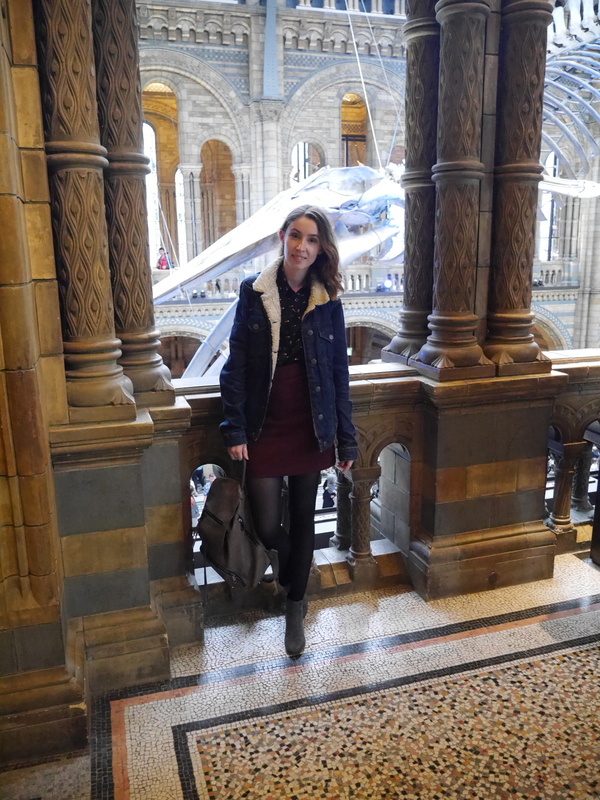 Dive into the brand new Hintze Hall with me. 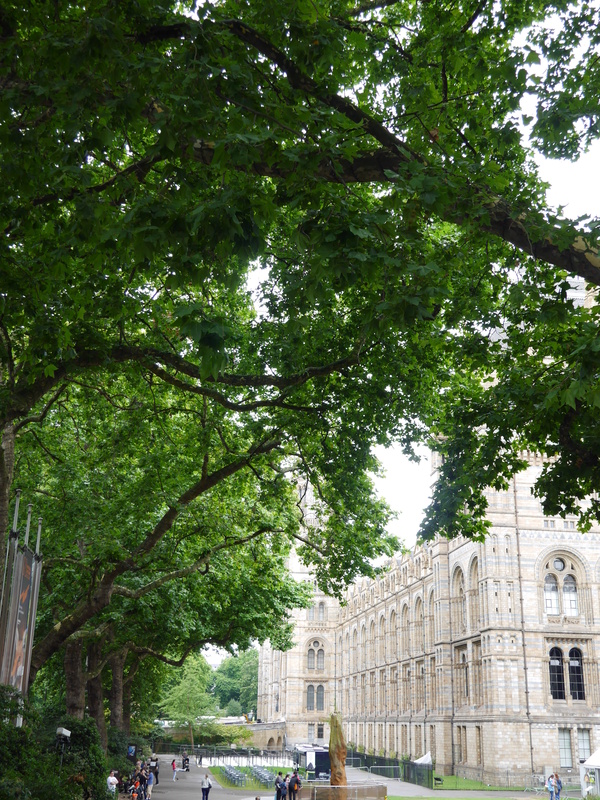 I have loved the Natural History Museum since I can remember but it also holds a special place in the hearts of the Mr and I as we have spent many a date day wandering around its never ending treasures. 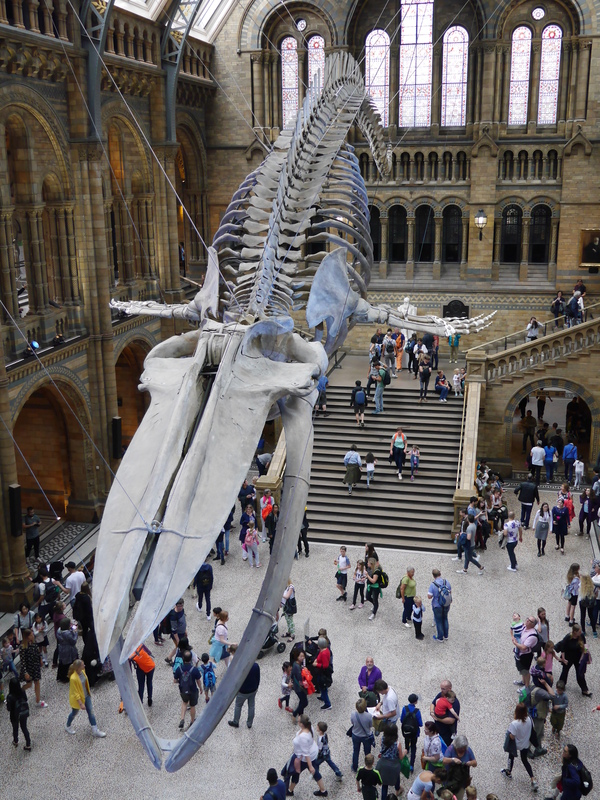 If you’re a local then you will know that the beloved Dippy the Diplodocus has finally gone on his tour round England and been replaced with this beautiful Blue Whale Skeleton. We battled the queues and the rain to finally get our first glimpse of the latest attraction and it really did take our breath away. The whole floor of the hall has opened up so guests can walk completely underneath the suspended skeleton and see every inch of the structure. 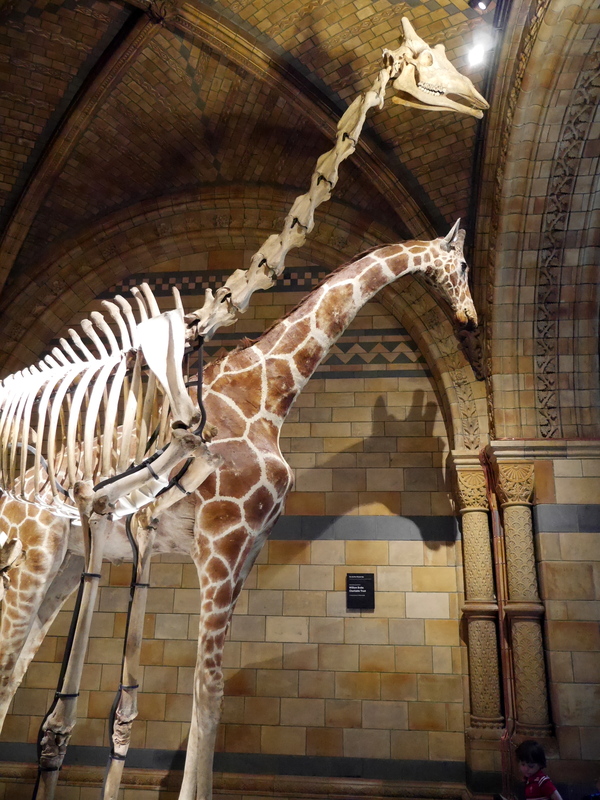 It’s not only the whale that is a new addition the alcoves have new features as well including an Atlantic Blue Marlin, Giraffe Skeletons and a beautiful Seaweed Arrangement. It’s the perfect way to see what the museum has to offer and to encourage you to explore the winding hallways. 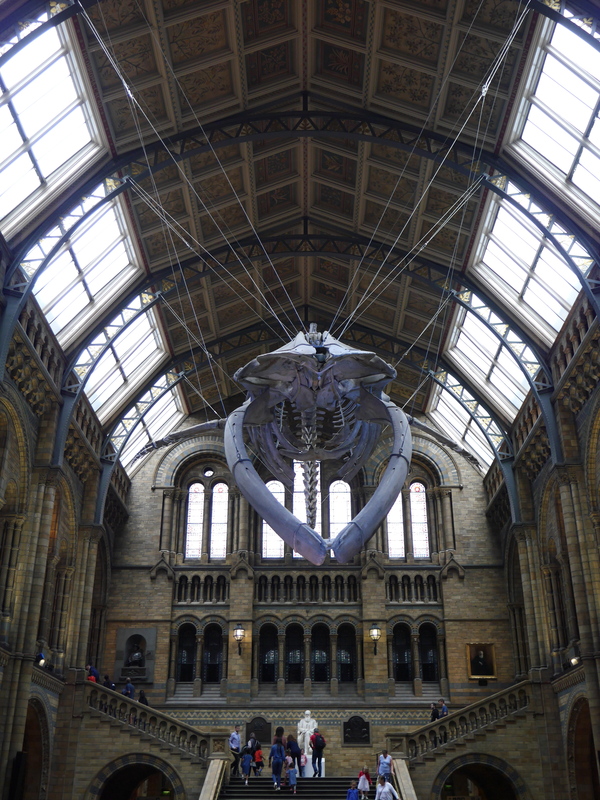 They’ve also re-done the upper level of the Hintze Hall which offers fantastic views of the Blue Whale making sure that every visitor gets the full experience no matter how busy a day it is! 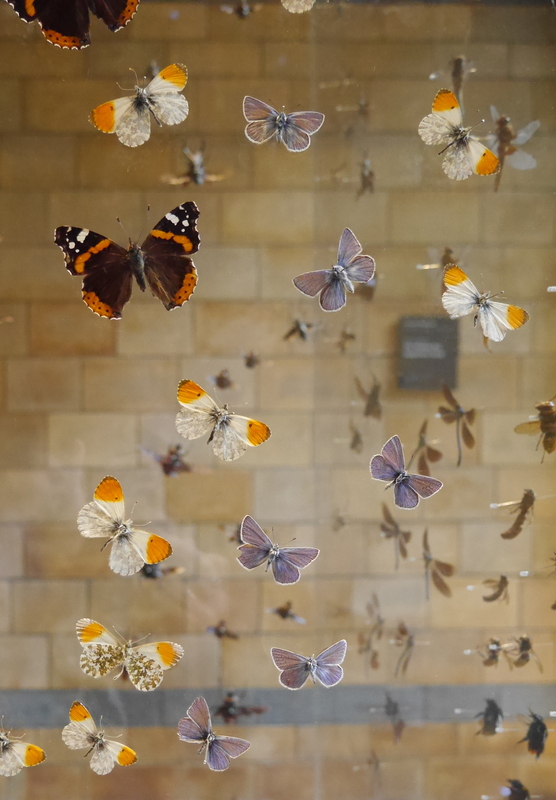 If you haven’t seen the BBC Horizon Documentary on the project then you’ve probably got a couple of days to catch up on inlayer, it’s well worth a watch and if you want to know what else you can see at the Natural History Museum click here and here.